This week's tasting is a spring-like bao zhong oolong from Origins Tea. This is the 2nd tea review from Origins Tea (you can find the first one here). 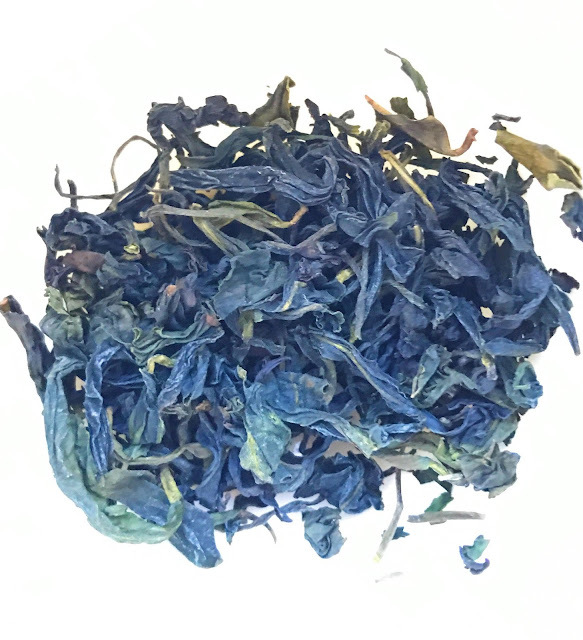 This oolong is from the Wen Shan mountains (Shan means mountain) in northern Taiwan. 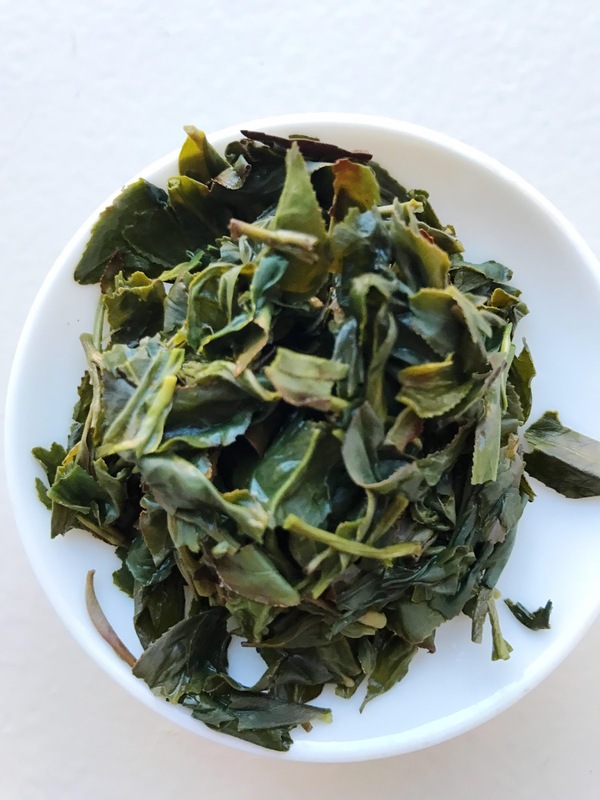 I shared this oolong with a friend this week, and realized I should do a review. This was a perfect tea to share with a tea-loving friend that doesn't often drink green oolongs. It's a light yet satisfying tea that helped us get through the afternoon. The dry leaves (which you can see above) are small, twisted and various shades of dark green. They smell vegetal, sweet and floral. As if I made a salad out of dried snap peas and flowers. An inviting aroma, especially since I'm pining for springtime. The tea is green and floral. Subtle, creamy and gentle. The flavor lingers, and it has a nice soft mouthfeel. The first few steeps have more of a sweet veggie flavor, like well-steamed snap peas. Subsequent steeps start to bring out more of the floral notes. I find that the floral notes were even more enhanced when the tea cooled a bit. This tea is delicate and sweet, like drinking a cup of fragrant crab-apple blossoms. Ok, I think I've mentioned before that I'm not very good at identifying the specific flowers in a 'floral' fragrance, but this one is an exception. Why? I'll always remember the aroma of crab apple blossoms in early spring. Growing up we had a little squat tree that served as the perfect hideout right after the blossoms burst open. I spent many a 'hide and seek' session sitting under the tree. I'd be magically encompassed by the low canopy of branches, surrounded by the sweet scent while little white petals drifted down creating a wooded fairy wonderland. The infused leaves have a strong vegetal aroma more like cooked green veggies, with that crab apple blossom scent clinging to the leaves. This aroma switches to more straight up floral as the steeps progress. This is a lovely afternoon tea. It's lightly vegetal and sweet, the breath of springtime. It's a tea I could drink for a few hours and still anticipate the flavor after each infusion. Thank you to Origins Tea for the sample! For more information on the company, you can visit their website here. I hope I drink baozhong this spring.